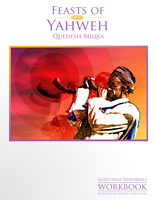 The Festivals of God were given to Israel by God as “qudesh miqra” or holy rehearsals. These festivals are celebrated today and are a reminder for His people of God’s provision, His holiness, and His promise. 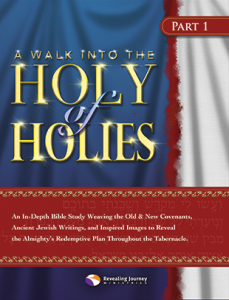 God’s plan was set in motion through Holy Appointments. These holy rehearsals clearly reveal Yahweh’s redemptive plan leading to fulfillment in Yeshua, Jesus our Messiah. Jesus referred to “His hour”, a time appointed by GOD for His death, burial, resurrection and return. God’s amazing plan has been woven throughout scripture in the tabernacle, priesthood and festivals. This masterful design cries out from the heart of God, “Watch My Plan”. Jesus said, “An behold, I send the promise of My Father upon you; but you are to stay in the city until you are clothed with power on high.” Luke 24:49. The disciples were anointed and empowered by the Holy Spirit during the fourth holy appointment, the Festival of Pentecost. The first trump of God shattered the quiet room of the waiting disciples. The once weak and cowardly disciples went boldly forth baptizing many in the name of the Father, Son and Holy Spirit. The church of Christ had been born, but the trump of God will blast again. 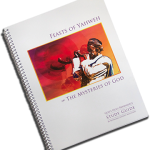 While the church awaits the next appointed time, the warning of God goes forth, “wake up, oh church and return to the living God!” For the next holy appointment, Rosh Hashanah, the Feast of Trumpets, will break the heart of lukewarm believers. The next appointed time was the Day of Atonement. When the blast of the Great Trump has been blown at this rehearsal, the Jews believe the gates in heaven are closed. Those names recorded in the book of life are ensured a good year to come. The ingathering will soon be complete, the storehouse is full of grain and fruit and the nations are gathered together to celebrate the final festival. Sukkot, the Festival of Ingathering (the Festival of Tabernacles) will be filled with great joy, celebrating the one who has allowed the great harvest to be safely brought in. Today, we as the church wait for the Holy One seated upon Heaven’s white horse, with His robe dipped in blood and written upon His thigh, King of Kings and Lord of Lords, He will be accompanied by the heavenly realm with shouts of acclamation coming to gather His elect for the Great and final feast. The New Jerusalem, the bride of Christ has made herself ready and there He will cover us with His Tabernacle. We shall walk the streets of gold, the trees will have healing in their leaves and we shall live in the light of the risen Lamb. Blessed be His Holy Name. We, who have trusted in the saving blood of the Lamb and have allowed this mercy and grace to touch our lives, will see within the festivals not only the unveiling plan of Messiah’s death, burial and resurrection but how imperative these appointments remain for us today. 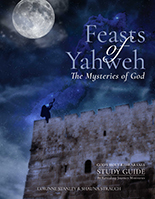 You may order a Feasts of Yahweh Bible Study Guide. 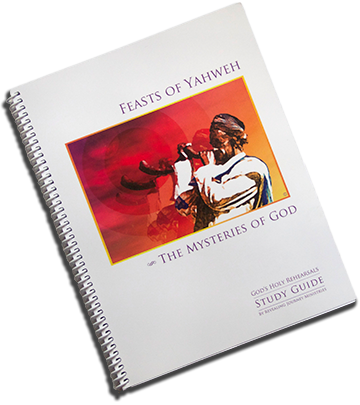 A six week study guide of the Festivals ordained by God in Leviticus 23 describing the first coming of Jesus Christ and pre-figuring His second coming.